On a recent trip to Mt Gambier to pick up my brother for a visit to Warrnambool, I reset my car’s trip computer so I could observe some travel data. Now, it must be said that I did not buy this particular motor vehicle with the aim of fuel economy in mind, but that is impressive! V8’s have a reputation as being gas guzzling, uneconomical, thirsty and expensive, but those figures prove that in this modern age of technologically advanced engines, this is really no longer the case. You can have an affordable V8. Obviously these figures are not achievable driving around town with all the stopping and starting (and possible over accelerating that may occur at times), but only when the car was set on cruise control on a particular trip. 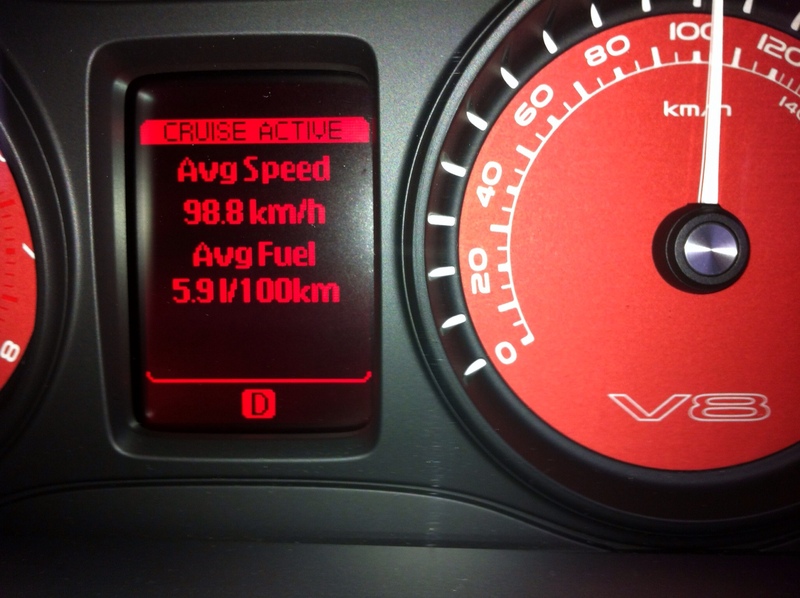 I am not suggesting that you should go and buy a V8 to save money, but…I may be offering you some conclusive evidence that you may wish to use in stating your case towards the acquisition of your next (V8) motor vehicle. PS: My Holden has a Holden Lion badge on it because I am proud of driving an awesome car manufactured right here in Australia…I know the technology and parts come from all around the world, but it was manufactured here and is keeping it’s Australian badging!